Simon was appointed chair of governors in October 2015. He says that it is an absolute privilege to lead such a great college that is making such a difference to the town and its community. Simon runs his own business providing advice to governments on skills policy and delivery. He is also on the Sheffield City Region Skills Board. 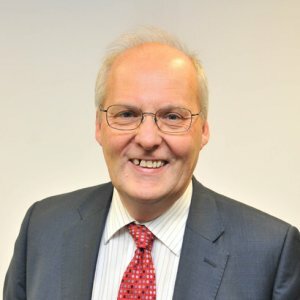 He retired in 2015 from the UK Commission for Employment and Skills where he was the Executive Director based at their office in Wath-upon Dearne. His role was to lead the operational and industrial investment work of the Commission. Simon previously worked at the Sector Skills Development Agency in Wath and, before that, held a number of jobs in government relating to skills, small business and regional development. This included the creation of Business Link and, more recently, Sector Skills Councils. He has also worked at the Government Office for Yorkshire and the Humber based in Leeds. This was where he first got to know Barnsley and decided he wanted to try and make a contribution to its success when time allowed. Simon started his career working as a training adviser for the Engineering Industry Training Board, was a management training manager and worked on the implementation of a distance learning programme before moving into policy work in government. Simon is a graduate of Bradford University, is a Fellow of the Chartered Institute of Personnel and Development, has two grown up children and lives with his partner in Sheffield. Simon also chairs the G&S Committee. Nick is one of the Vice Chairs. He is currently Principal at Horizon Community College in Barnsley which opened in September 2012. 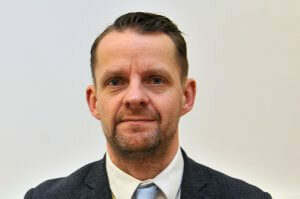 He is also the Chair of the Schools Forum, the Secondary Headteacher Group and the Barnsley Schools Alliance. Previously, Nick was a Headteacher in the North East for ten years at St Benet Biscop Business and Enterprise College where he discovered the important role that educational leaders can play in the regeneration of a region. 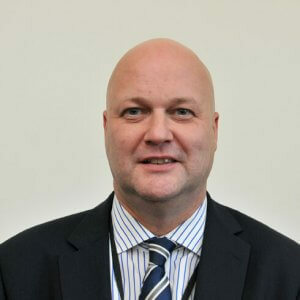 He has recently become a member of the steering group for the National Careers and Enterprise Company representing the Sheffield City Region LEP and sits a number of education and skills panels for The Leeds City Region LEP. Originally from Yorkshire, Nick was keen to return and took up the post of Principal at, what he believes to be, one of the most exciting developments in education currently in the UK. He considers it a real privilege to work alongside the college and help lead the community into a new and transformational era. 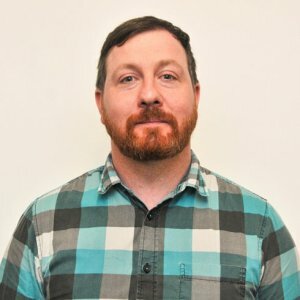 Nick currently chairs the Quality and Standards Committee. Helen has worked in Barnsley for over 10 years as Chief Executive of Berneslai Homes and in that time has achieved three stars excellent for the Company and attained IIP Gold 6th generation. Berneslai Homes was named Social Landlord of the Year 2017 and been included in the Sunday Times Best Companies not for profit one hundred list. Helen herself was awarded 24 Housing Chief Executive of the Year in 2015. 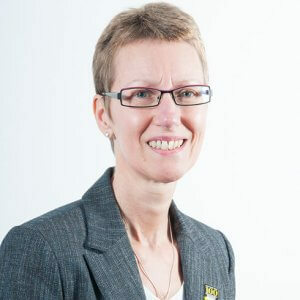 Helen has worked in the public sector for thirty seven years, becoming professionally qualified in housing whilst working for the London Borough of Camden and extended her professional portfolio into Human Resources and Organisational Development with Leeds City Council. 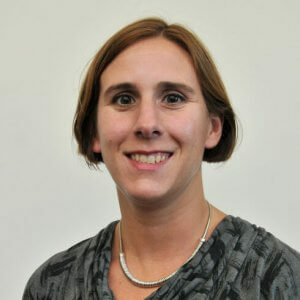 Helen is a graduate of Hull University and is a Fellow of the Chartered Institute of Housing and a Fellow of the Chartered Institute of Personnel and Development. Helen has a number of other non executive roles including the Chair of Leeds Federated, a Leeds city region based housing association, a Director of Barnsley Enterprise for Living Well, a social enterprise tackling social isolation and self esteem and sits on the Board of the Barnsley and Rotherham Chamber of Commerce. Helen is passionate about “residents being at the heart of what we do” and wishes to bring this approach to her role as governor within the college. 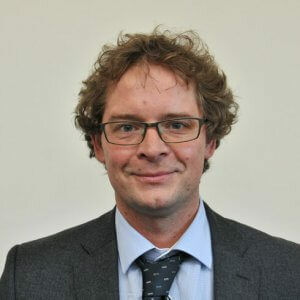 Chris joined Barnsley College in March 2011 as Vice Principal for Quality and Development and was appointed to the role of Deputy Principal Finance and Development in September 2013. In September 2015, he was appointed as Chief Executive and Principal. Chris has a strong background in senior post holder roles and has gained a diverse experience of leadership and management within a variety of different colleges in the UK. Chris is very passionate and committed to the delivery of excellence for the learners and stakeholder. Graduating from Canterbury Christ Church College University with a degree in IT and Sport Science, Chris began teaching in 1997 and has worked within the Further Education sector since then. Married to Belinda, with three children (Bethany, Richard and Nathan), he lives with his family in a small ex-mining colliery village in the North East of England. Clare is a partner at KPMG where she leads the public sector audit and assurance practice. Within this role she works closely with a number of colleges, universities and government regulatory bodies. She is a Fellow of the Institute of Chartered Accountants (FCA). Her experience extends from statutory audit to process review, option appraisal and financial due diligence across both public and private sector entities. Currently living in the Barnsley area with two school aged children of her own, she understands how important high quality education is for our children. Simon is a Partner and Head of the Employment Law department at Taylor & Emmet LLP Solicitors in Sheffield. He is recognised in the prestigious Legal 500 as being a leading lawyer in the field of Human Resources and Employment. Simon is a member of the Employment Lawyers Association and the Industrial Law Society. He regularly publishes articles on topical employment law issues and presents seminars and training workshops on employment and HR related matters. He regularly contributes towards government consultations on behalf of the Legislative and Policy Committee of the Employment Lawyers Association, advising on topical and developing employment law issues. 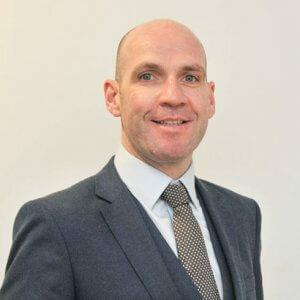 Simon also has experience of being seconded overseas to work in the legal department of a large scale multi-national global organisation, advising on all aspects of UK employment laws. Simon is a graduate of the University of London, where he was awarded a Bachelor of Laws LLB (Honours) degree and he also attended the College of Law (now the University of Law) in York, where he was awarded a postgraduate diploma in Legal Practice, prior to training and qualifying as a solicitor with a large commercial law firm in Norwich. Simon has subsequently acted as a mentor to students at the University of Law. Prior to qualifying as a solicitor, Simon’s background was in management and he worked for a major FTSE 100 banking group. Simon chairs the Remuneration Committee. 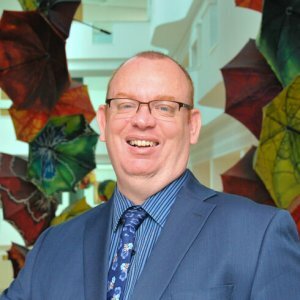 David has recently joined Barnsley Council as Service Director for Economic Regeneration where his responsibilities include leading on the Council’s development and implementation of the economic strategy, facilitating inward investment, business growth and support. David will put his efforts into helping grow jobs and businesses in the borough in the months and years to come. 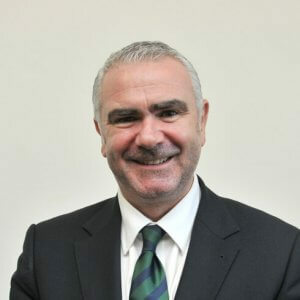 He brings a wealth of experience from his previous role as Assistant Director for Regeneration and Culture in Bradford, where he consistently led the delivery of major inward investment from plans to completion, as well as securing thousands of new jobs for local people. Sara is an organisational development professional and executive coach. She supports businesses of all sizes and across all sectors to develop and grow, through her own business, SAINT Consultancy Services, which she established in 2008. 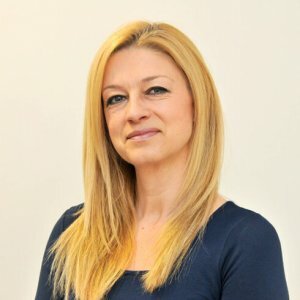 With over 18 years’ experience of working with senior teams, Sara has a successful track record of helping businesses plan strategically. She helps to position them for business growth by harnessing the potential of their people. Sara’s background is skills and economic development policy. Her work now focuses on direct organisational development support to businesses and executive teams. Sara is a former student of the College, studying her A levels here and also, as a mature student, obtaining a first class degree in Business and Management. Sara also has a Masters degree in Management. Sara is the link governor for SEN.
Kay Dickinson - Chair of Finance and Resources Committee. Kay is a fellow of the Chartered Institute of Management Accountants. With a background in finance, she also has a broad range of experience in strategic planning, organisational delivery, change management, corporate governance and risk management. She was an Executive Director of the UK Commission for Employment and Skills, and previously the Sector Skills Development Agency, for 11 years before taking voluntary redundancy in 2013 to pursue various interest and voluntary roles. Prior to that she worked for a number of private sector companies and spent 10 years in the health service. Kay is passionate about ensuring people have the opportunity to realise their potential and to be developed, engaged and valued in the workplace. As a life-long resident of South Yorkshire she is also keen to contribute to helping make the Sheffield City Region a great place to live and work. 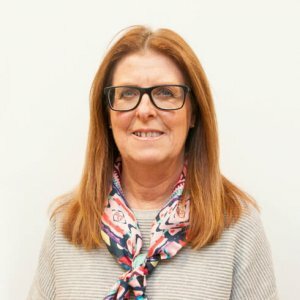 Since leaving full time employment she has therefore become involved with a number of local organisations and initiatives, including Sheffield-based social housing provider Arches Housing Ltd, where she took over as Chair in September 2016; as a trustee of NOCN Ltd, a qualifications awarding organisation which aims to increase learners’ confidence and employability and help them reach their potential; as a board member of VAS, which works to improve the quality of life for all of Sheffield’s communities by supporting voluntary and community action in the city; and with Sheffield First Partnership on the ‘Recognising and Valuing Female Talent’ initiative. She is also vice-chair of governors at Windmill Hill Primary school. Kay chairs the Finance and Resouorces Committee. Simon is currently Director of Financial Services at Sheffield Hallam University where he has been for two years. Prior to that Simon worked for global building materials giant Saint-Gobain for 13 years where he joined as an assistant accountant and left as Divisional Head of Finance. He has over 20 years finance related experience, largely in the private sector and is a Chartered Global Management Accountant (previously CIMA). Originally from South Yorkshire, an LLB hons graduate in Law and French from the University of Leeds, Simon spent time travelling Australia before embarking upon his career in finance and has worked extensively in all areas of finance as well as taking on management roles within the companies he has worked for. As a champion of employee engagement Simon is proud and passionate about ensuring that we help drive our teams to deliver world class service to help transform lives. 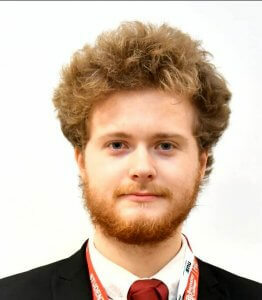 Simon is a member of the Finance and Resources Committee and the designated link governor for Equality and Diversity. Ross Hooley is a former Barnsley College student who became a member of staff in 2006. Ross currently works as a Teacher in Music, Media & Performance. He also a valuable member of the Advanced Practitioner team, developing and promoting good practice for teaching, learning and ILT within his own department and across the whole college. Ross also works for the awarding organisation Pearson as a BTEC Standards Verifier. Helping to standardise the delivery and assessment of vocational music courses across the country. Born and raised close to Barnsley, Peter’s ancestors were coal miners and so Geology was his first degree. Then at a Field Studies Centre in Derbyshire he undertook research into erosion of limestone and taught school groups which in turn led him enthusiastically to teacher training. Peter worked locally and in the North East for many years and was keen to raise the profile and value of education in his students’ families and so eventually set up and then managed a large facility offering lifelong education opportunities for adults in the community. Later, taking his own advice, Peter studied Law, and then taught and managed that subject for a while before working for the Local Government Ombudsman in York. However he says he missed the fun of helping to educate young people, working with teachers and so returned to teaching in Barnsley. Elizabeth is studying Health and Social Care at the University Campus Barnsley and has aspirations to become an adult nurse. 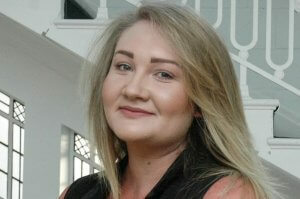 As part of her course she has a placement at Barnsley Hospital which she finds rewarding. She enjoys being a student at UCB as there are fewer students in the lectures which allows for more effective learning opportunities and one-to-one tutor learning. Elizabeth is very enthusiastic about learning in general and enjoys meeting new people from different cities and towns. Sam was a former Barnsley College student. He did his first year of university at the University of Lincoln then transferred to University Campus Barnsley. Sam has also been a part of the Barnsley Music Service for the last 12 years.